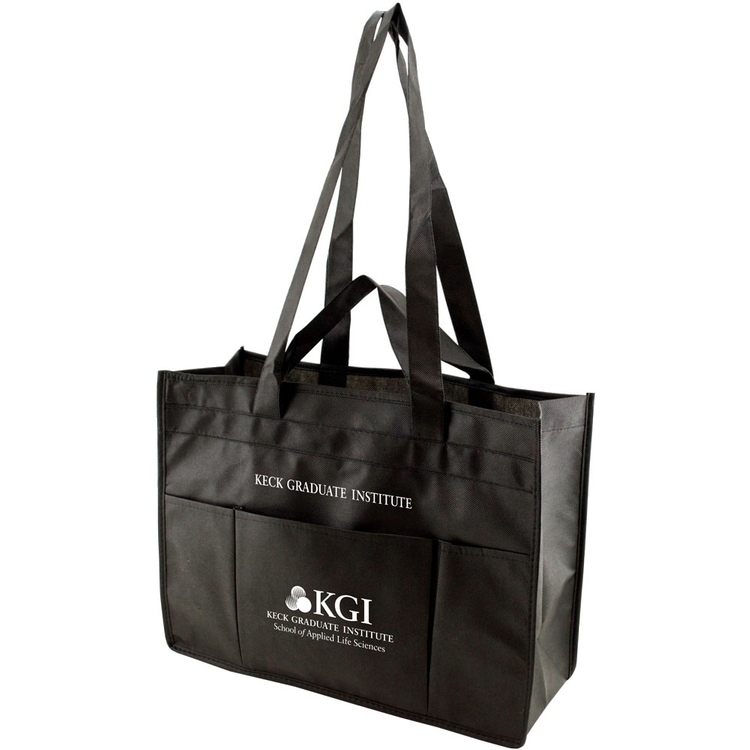 Get ready to hit the gym in style with this custom laminated non-woven bag! 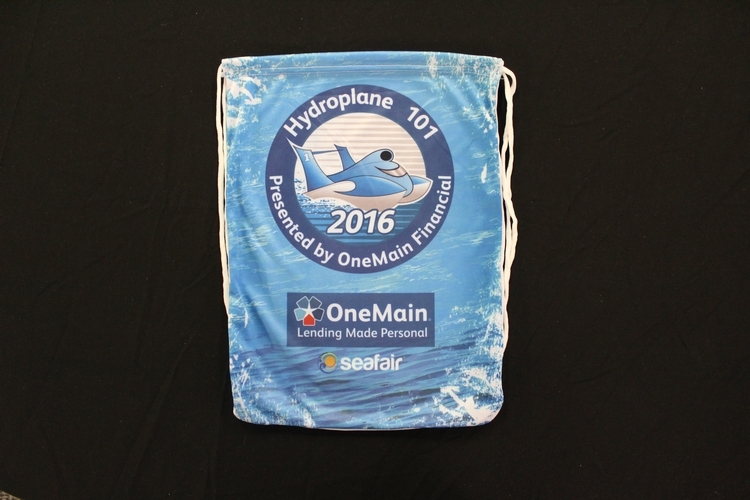 Measuring 9"w x 12"h x 4.5"d with 18" non-woven handles and rounded corners, this promotional bag is made of 120g laminated non-woven polypropylene. 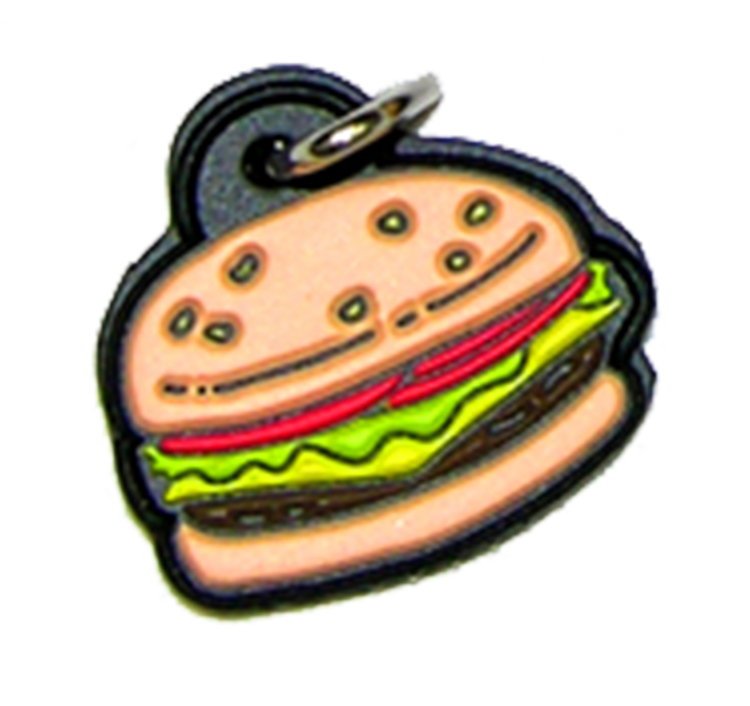 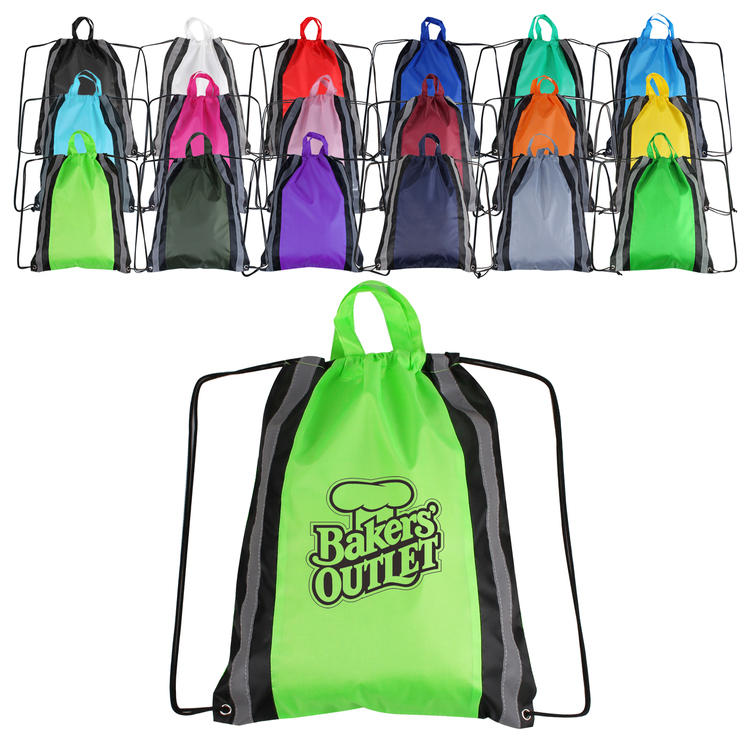 Great for trade shows, fundraisers, conventions, shopping and other promotional events. 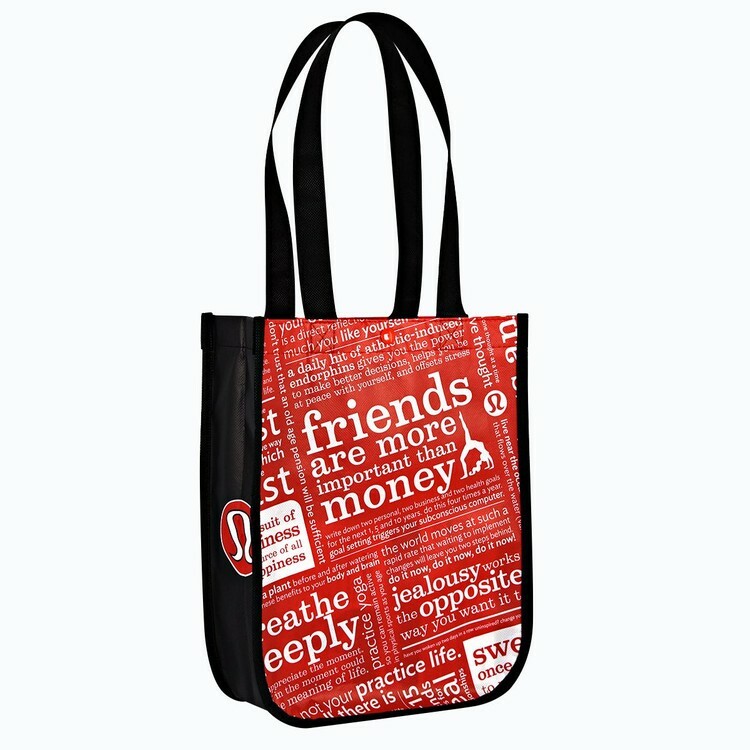 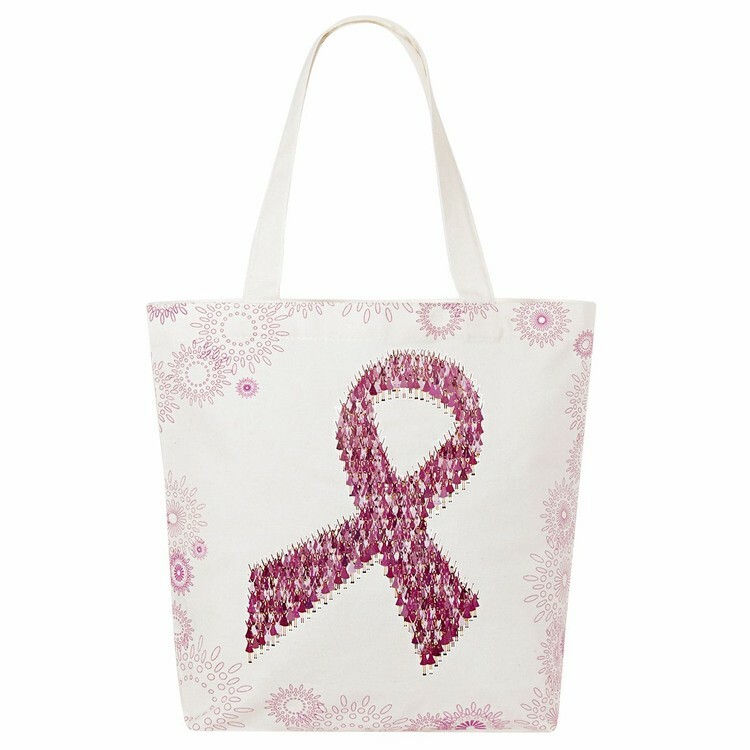 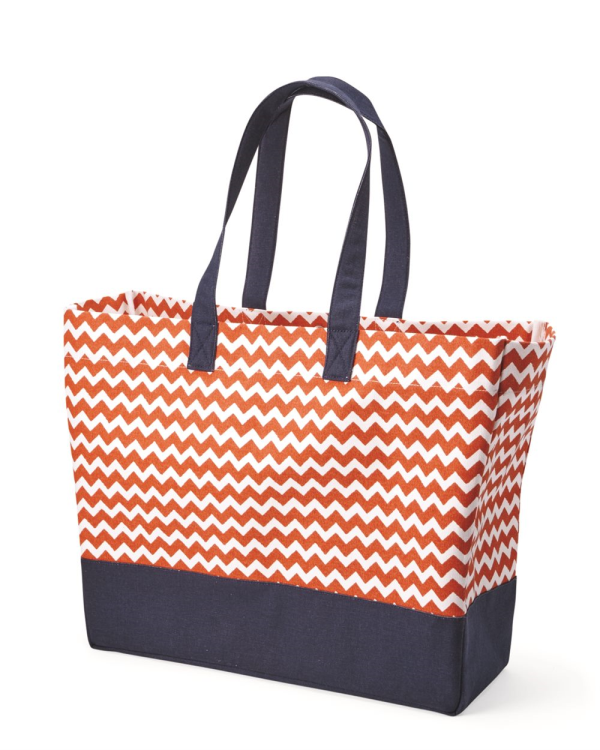 This reusable, recyclable, lead-free tote is sure to leave a lasting impression. 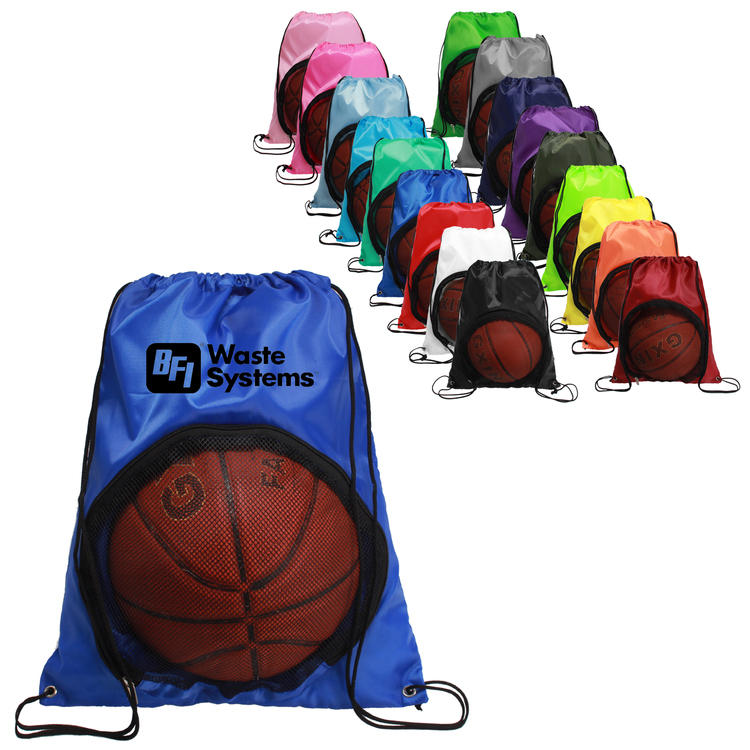 Full-color, full-bleed, eco-friendly printing and complete customization available. 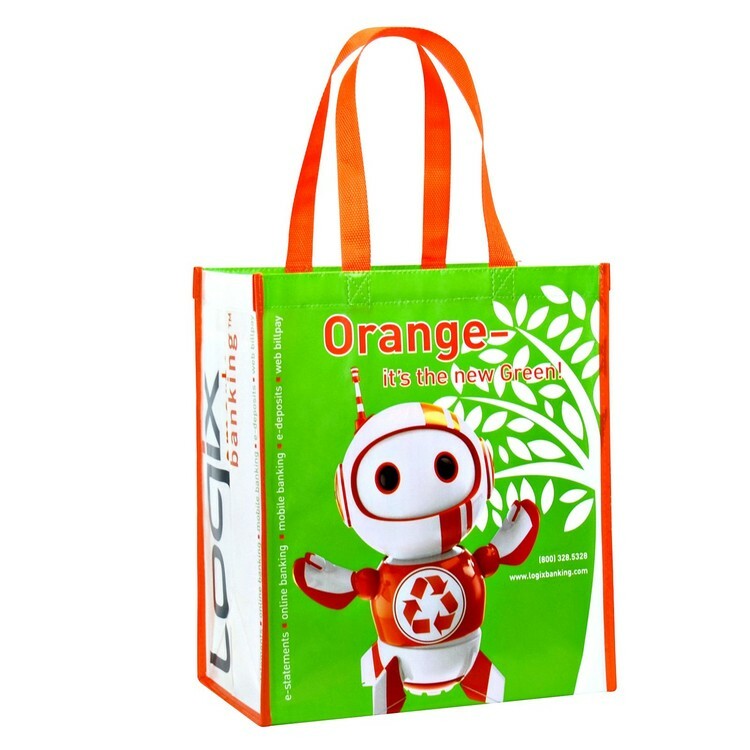 Overseas production with 20-50 working days lead time and MOQ of 2500 units. 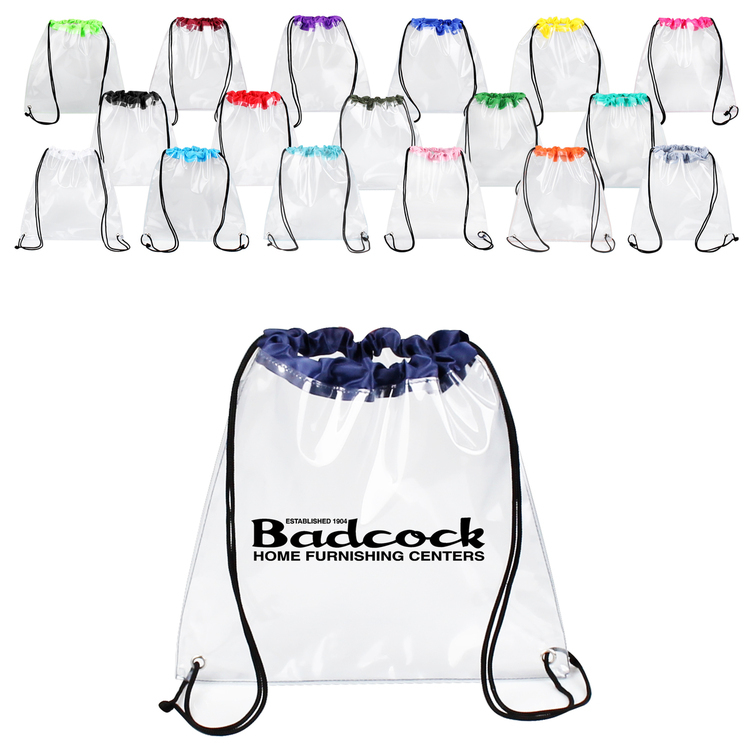 This clear bag is made of PVC and has 22" handles.  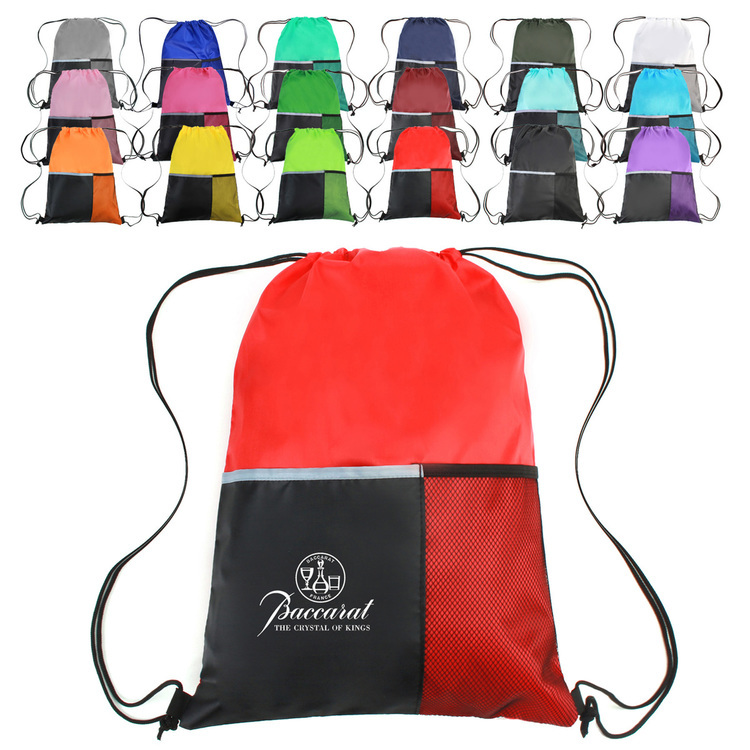 It complies with professional sporting regulations and also features colorful handles and corner accents to lend a little more personality to your giveaway.It complies with Prop 65. 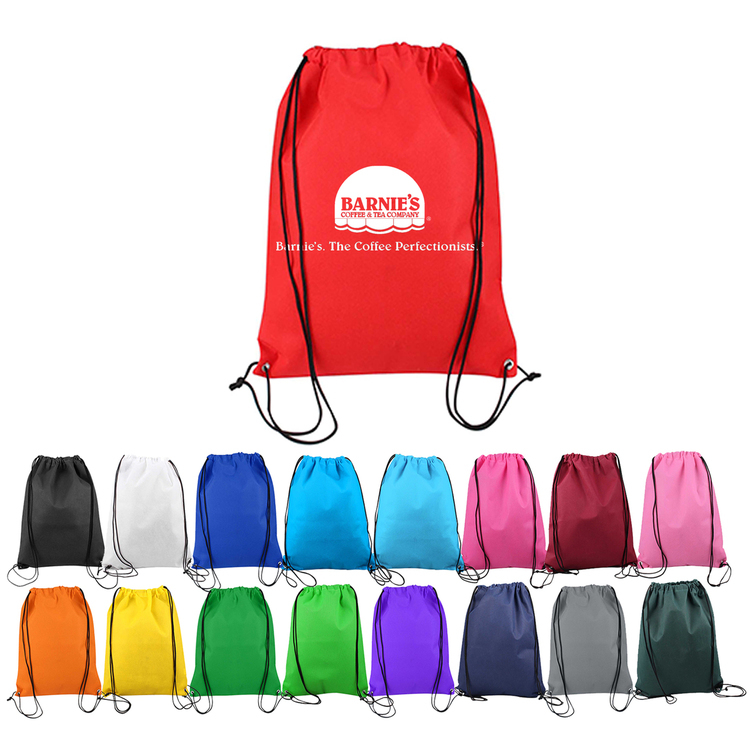 These drawstring backpacks are designed with strong and durable 210D polyester material and contrasting PU leather reinforcement black trims at the corners. 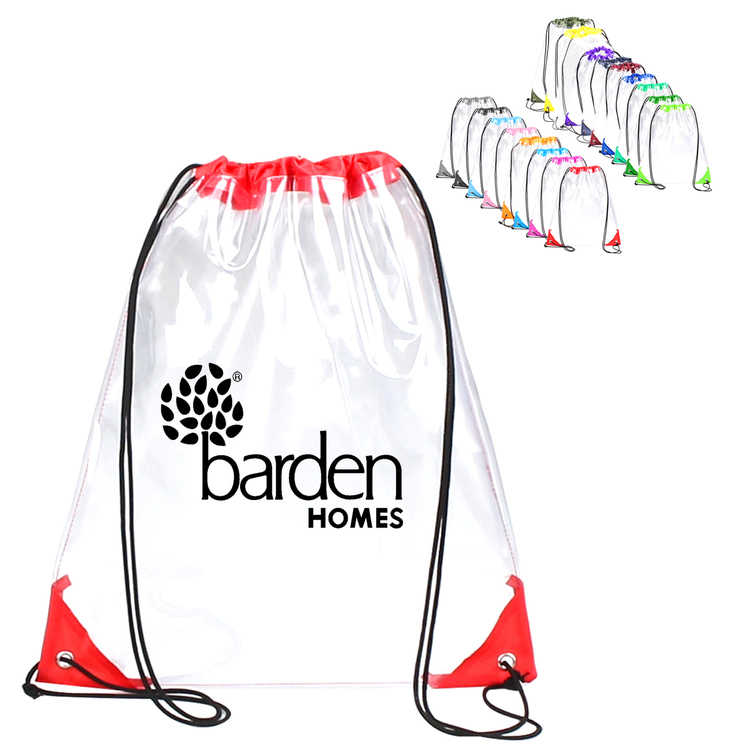 They feature a large front pocket with zipper for added convenience. 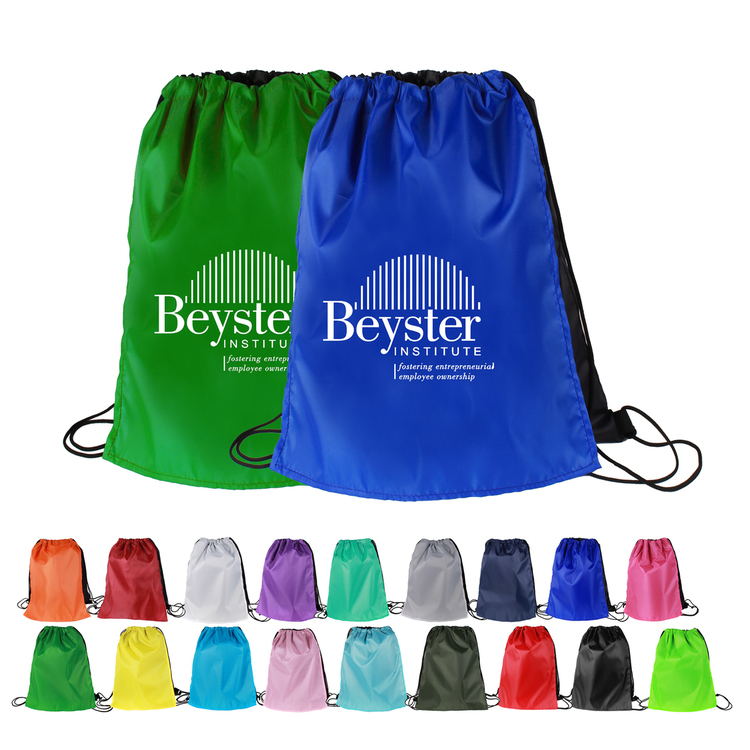 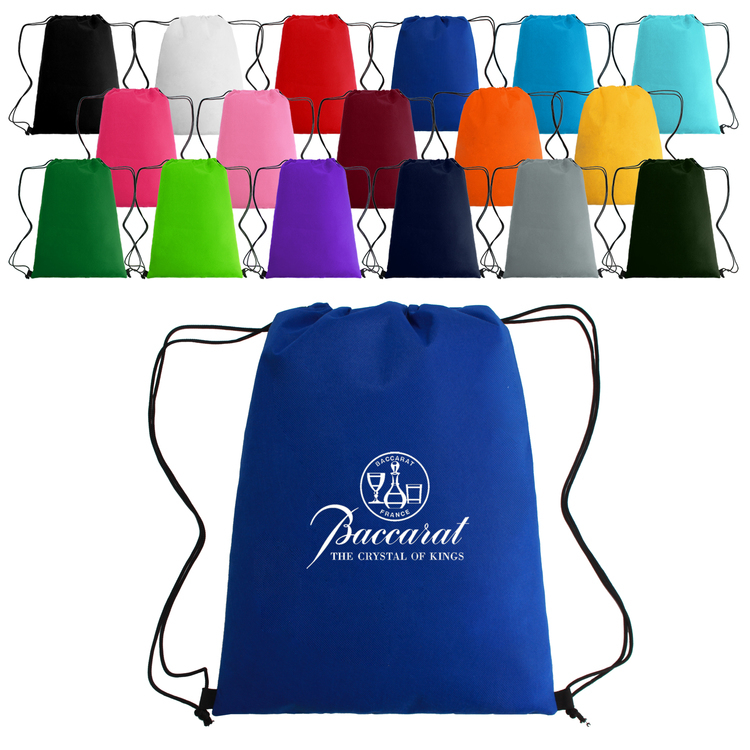 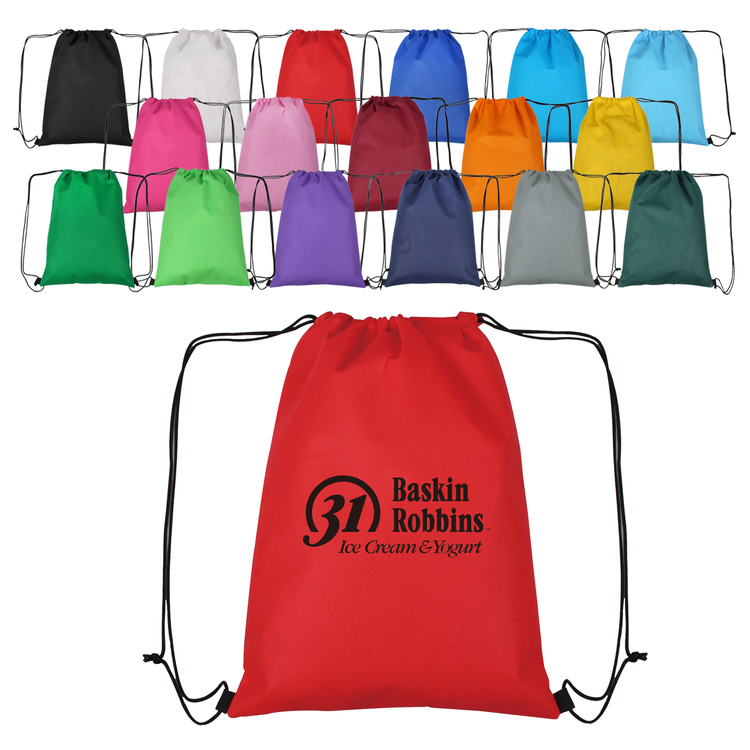 Available in a variety of light and dark colors, these personalized drawstring backpacks are sure to accommodate to your advertising theme with style and function. 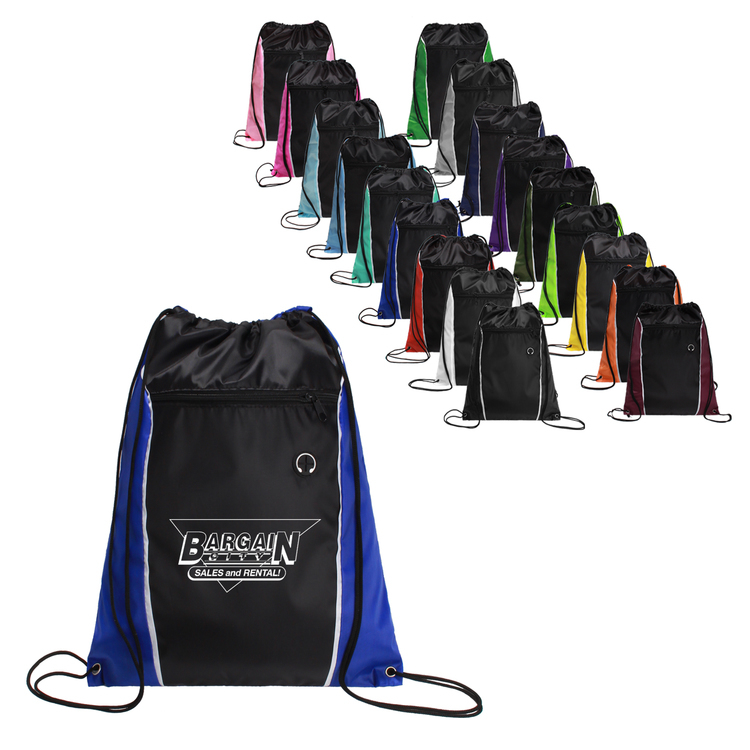 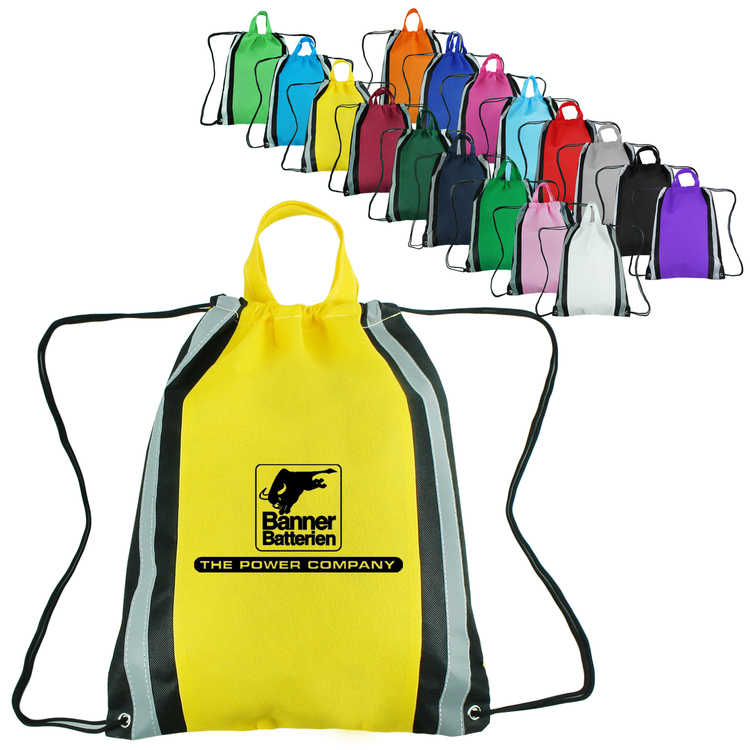 Made of super durable 210D polyester, these drawstring backpacks are truly unique by design. 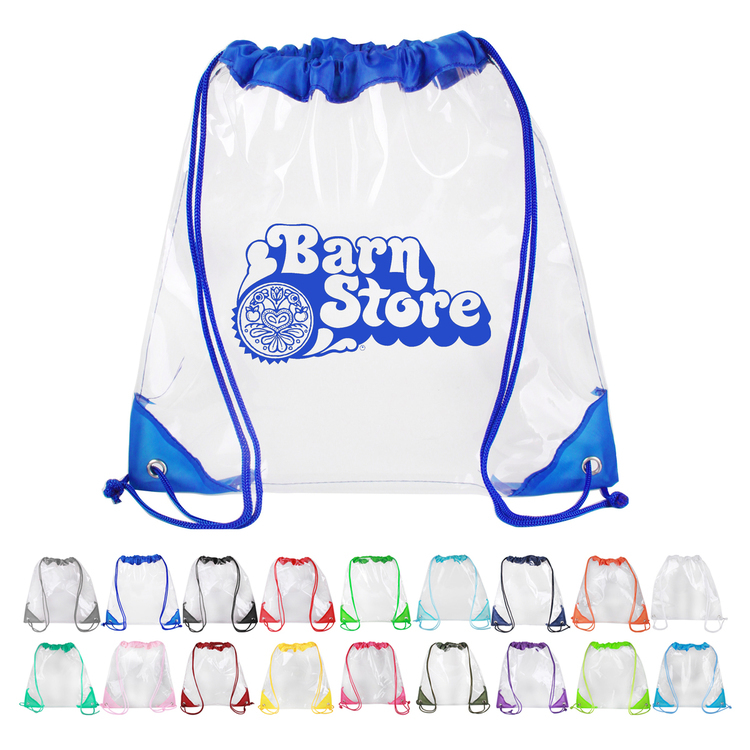 Like the name implies, the bag has an overlapping "cape" which waves in the breeze when the bag is cinched closed. 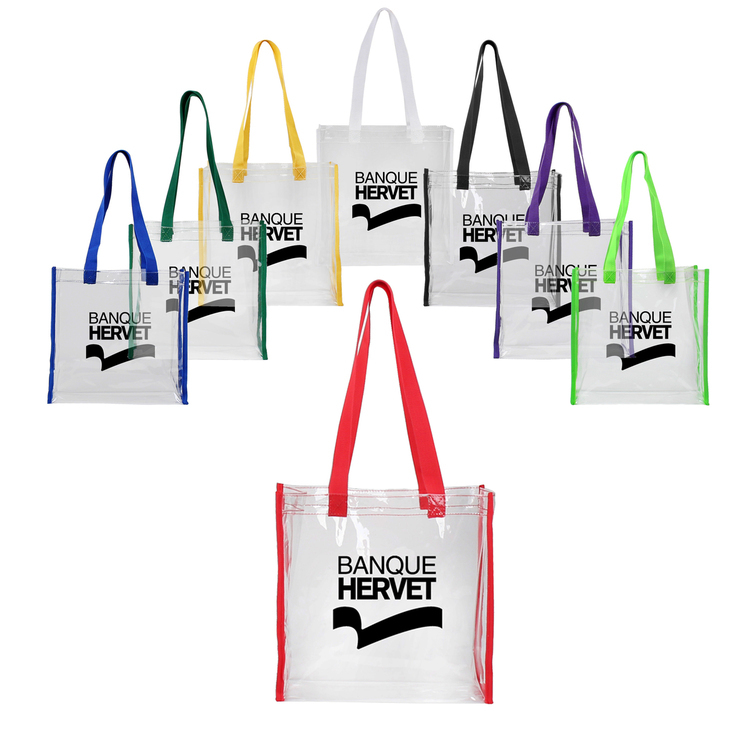 What a novel concept! 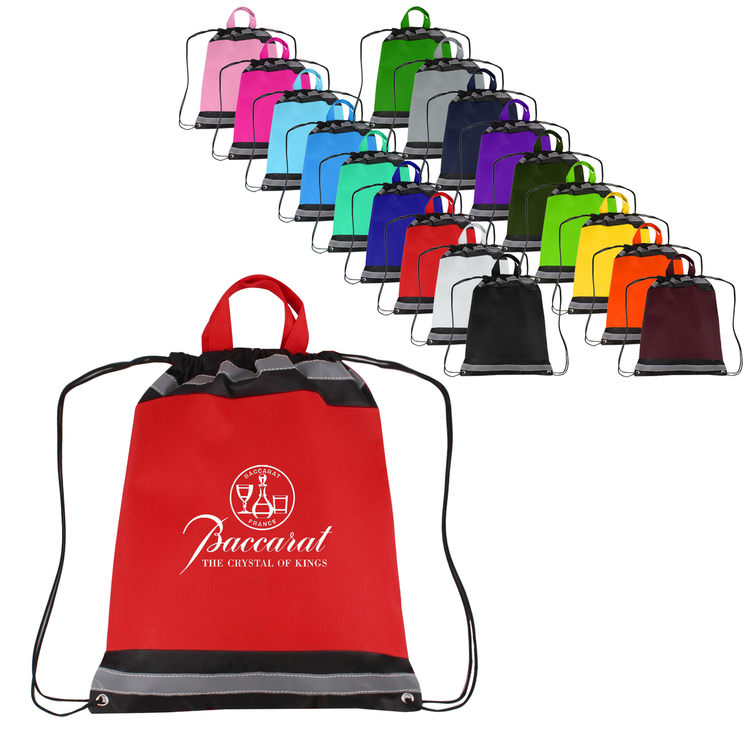 This bag is great for kids, teens, adults, travelers and peoples of all ages who like to have their brand message seem to fly like a cape when this durable cinch bag is carried like a backpack. 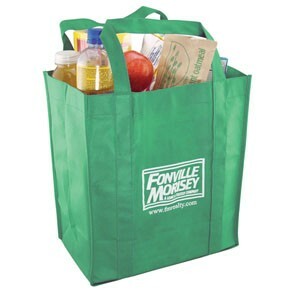 It complies with Prop 65. 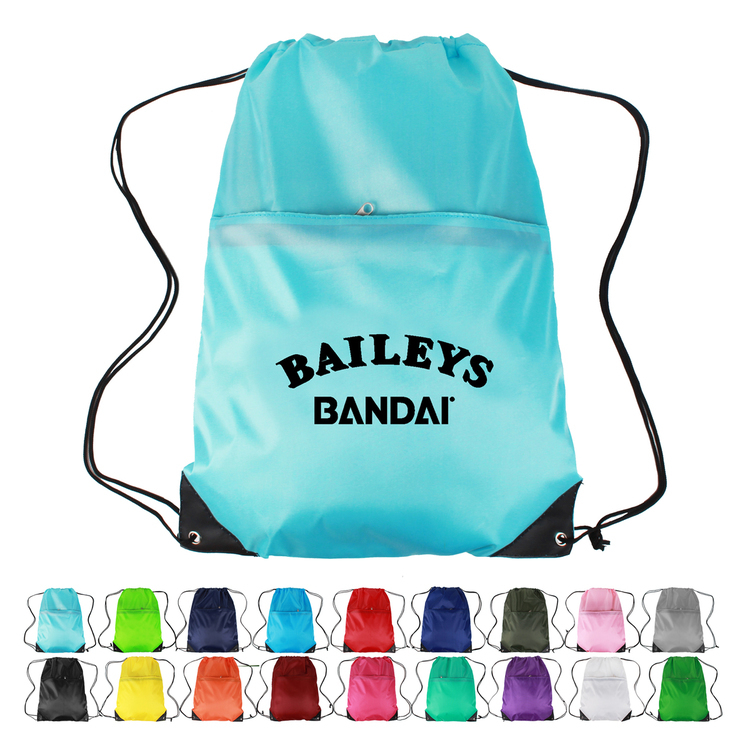 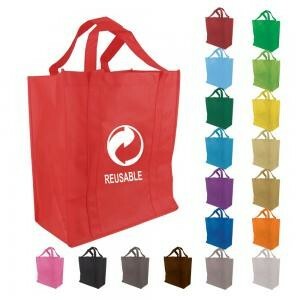 This drawstring bag is made of 0.2mm PVC and 210D polyester, which means this is very strong yet very light. 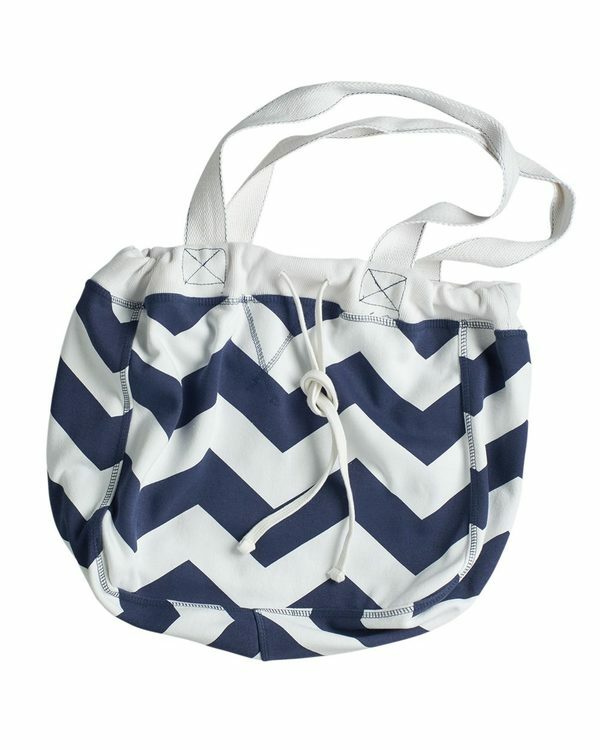 It also features colored accents and matching drawstring. 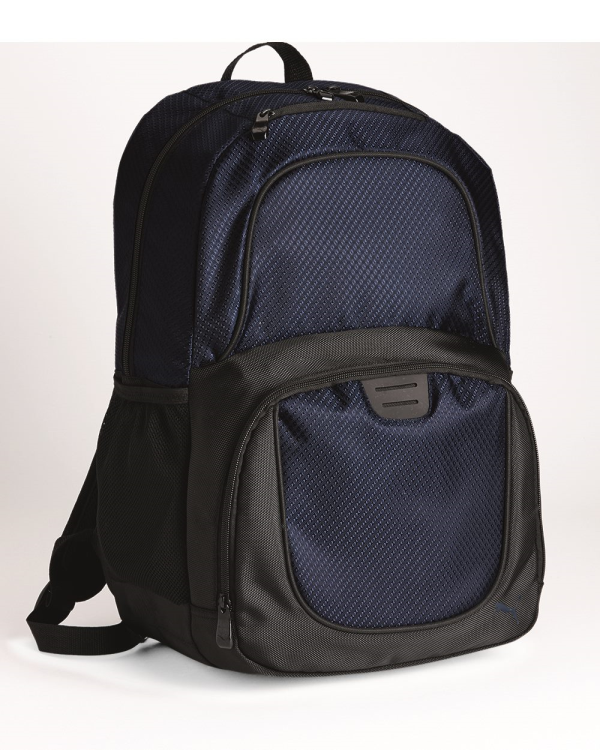 Reinforced eyelets make the bag very durable and easy to carry like a backpack across the back. 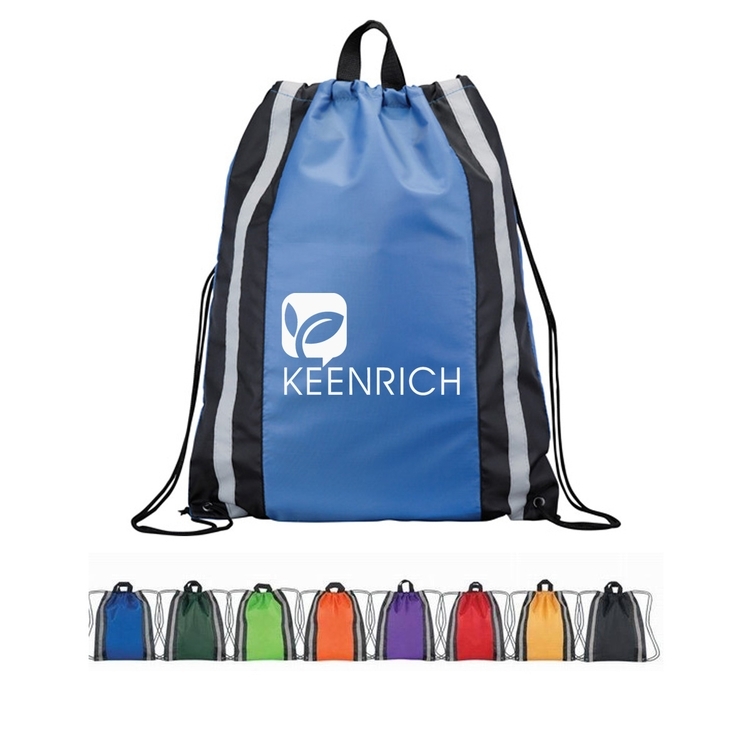 For clients who bike, hike, camp or just day trip, this kind of drawstring bag can be a total life saver that advertises your brand message. 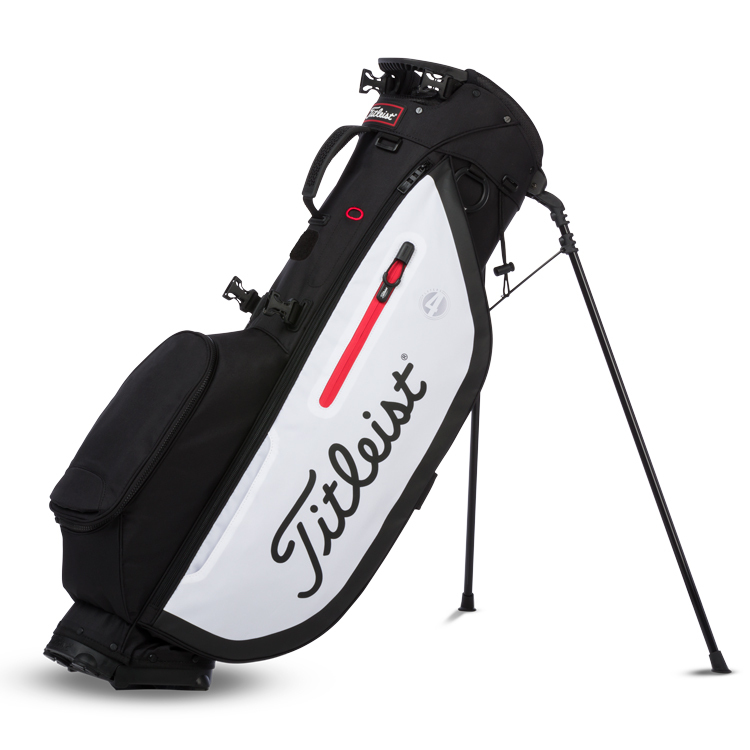 It complies with Prop 65.